Classic games never lose their charm. 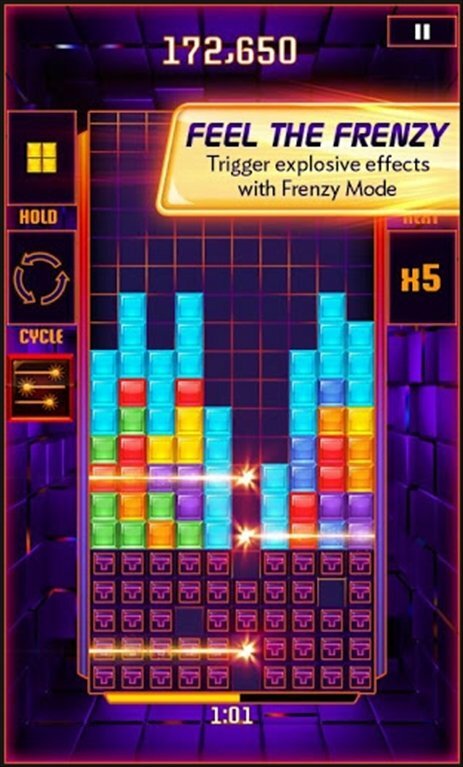 This is the case of Tetris that has been reinvented in its version for mobile phones. 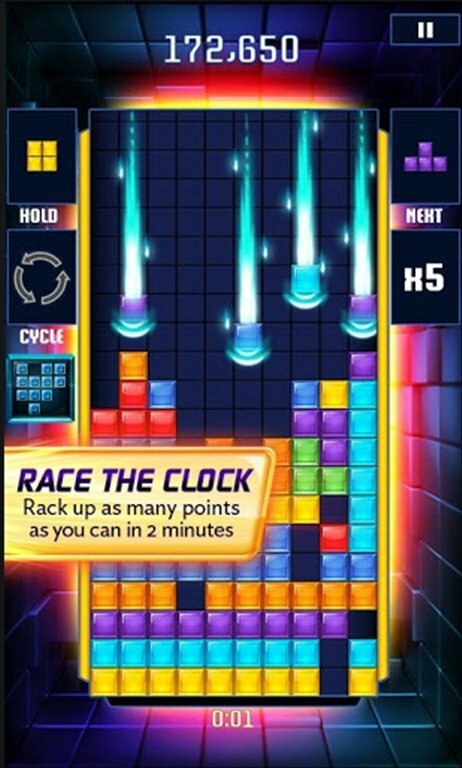 TETRIS Blitz for Android will have you hooked on for hours. 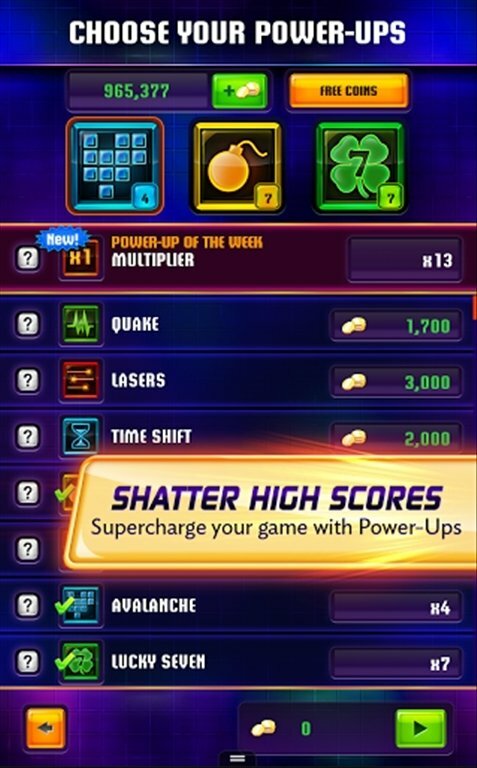 In TETRIS Blitz you have to place the pieces that fall from the top of the screen to complete rows in order to remove them. But unlike the original game, you will have two minutes to achieve the highest score possible. Your pride plays an important role in this race against time, as you can compete in tournaments against your Facebook friends. 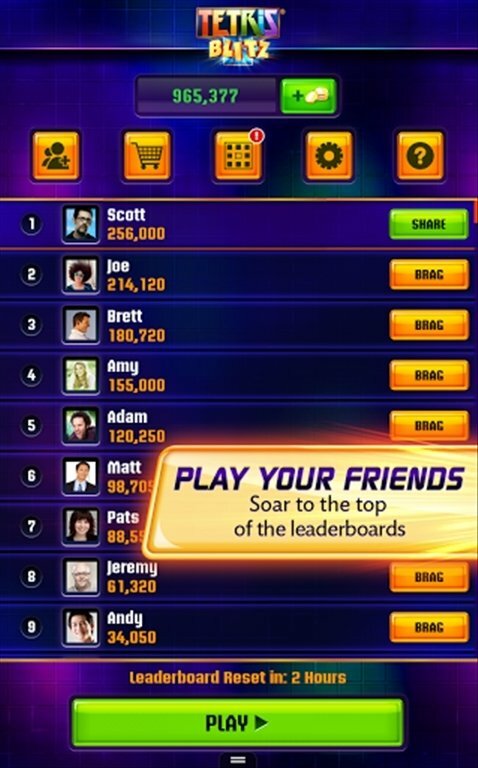 Try to activate the frenzy mode to reach a higher score. 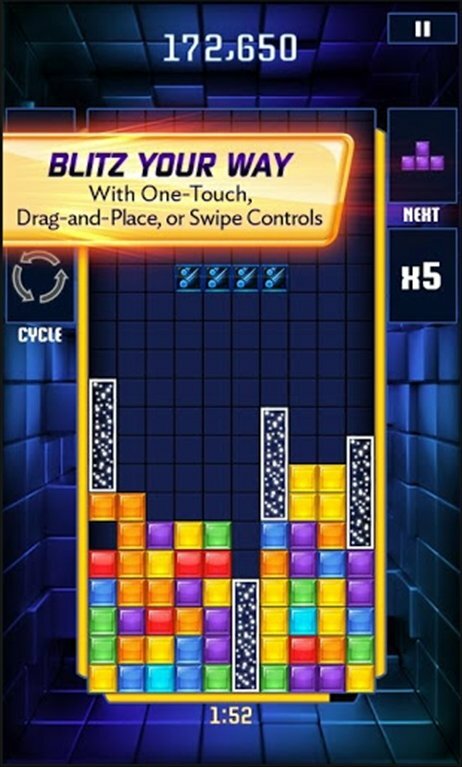 By downloading TETRIS Blitz free for Android you will have a totally renovated and more exciting version of the classic Tetris.